We’re super excited to announce that we’ve partnered with The Foundry Makerspace for a new wood-shop education series! Our first class, Intro to Wood Working – box building, will only have 9 spots. If you’ve always wanted to take your DIY skills to the next level, sign up soon! Learn how to accurately cut and assemble pieces to make a box. Sounds deceptively simple, but the skills you’ll acquire are the building blocks of furniture, cabinets, rough framing, or even just more boxes! This is a terrific introductory class for new carpenters looking to learn the basics around a tool bench and it provides an ideal foundation for more complicated woodworking projects in the future! 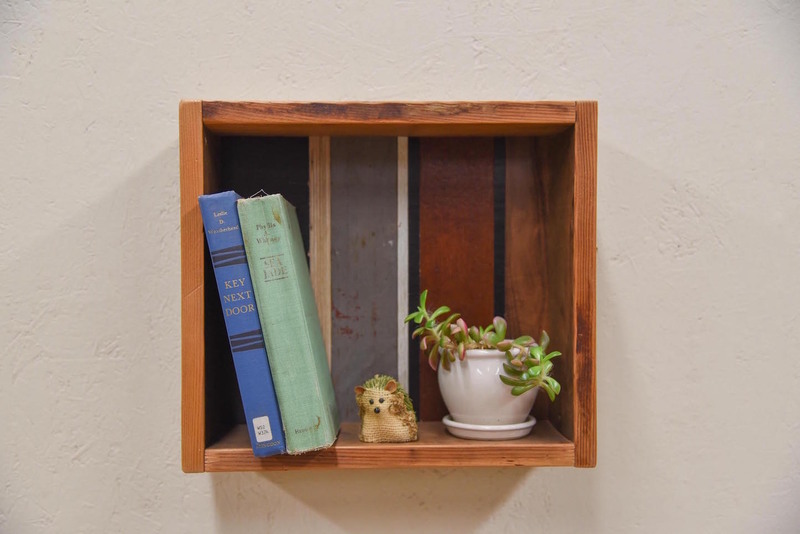 The unique box you build can be hung up on a wall and used as a bookshelf, display case, storage container or shadow box. By using reclaimed building materials, participants will learn how select, work with, and get the most out of reclaimed and salvaged lumber, tools, and more. Come join The Foundry and The RE Store in creating something new out of something old. More Info: Visit EventBrite to sign up and for more information, and share with your friends on Facebook!